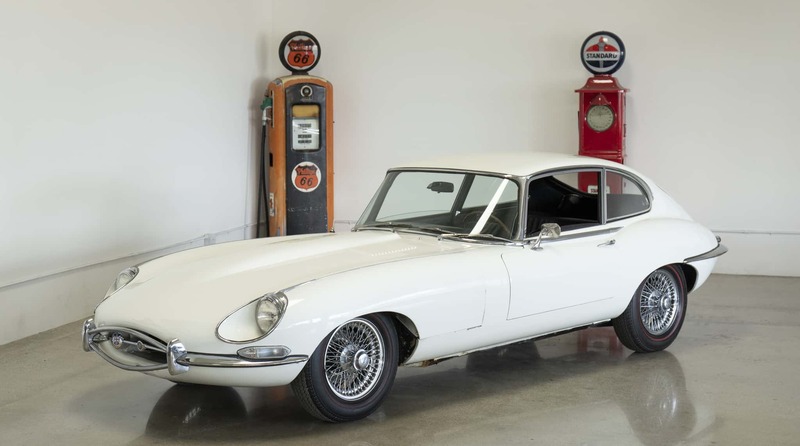 1968 Jaguar E-type Series 1 Two-plus-two 4.2 liter Coupe: Stored inside a dry California garage for decades; solid original metal, original floors; numbers matching engine per Jaguar’s Heritage Certificate; original Black leather interior in very good condition; low original miles. This E-type was started once a month (or so) but rarely driven for decades. Sold new in San Francisco, California, and kept in the Bay Area ever since. Purchased from an East Bay family who has owned it since 1981. Engine runs evenly on all cylinders. Tires are aged but show little wear, indicating many years of storage and little use. All mechanical systems should be checked prior to daily driving. We go to extents to document our cars in pictures and provide the most transparent listings on Ebay. Please study the pictures carefully rather than requesting descriptions. Please complete any inspections or ask any questions prior to bidding or committing to buy the car. Thanks for the interest!